According to the United Nations Office for Project Services (UNOPS) Executive Director, Grete Faremo, Thousands of people in Kenya will benefit from the sustainable and affordable green homes. UNOPS is dedicated to implementing projects for the United Nations System, international financial institutions, governments and other partners around the world; it is an operational arm of the United Nations. The orgainsation are looking to attract and secure a $647 million investment in a bid to build about 100,000 green houses for Kenyans throughout the country. A green home is a sort of house formed to be environmentally sustainable. Green homes target is efficient use of energy, water, and building materials. The project will also place a big role in employing Kenyans and help to improve the housing sector in the country. UNOPS is committed to increase innovative financing for the Sustainable Development Goals (SDGs), and will support the government of Kenya open access to sustainable, affordable and environmentally sound housing for its citizens. Feremo said “By reducing the investment risks of development activities, we are helping to bring about new partnerships between the private and public sectors”. He also added that the effect means open new opportunities and enhancing jobs for local communities, which all helps drive advancement towards the SDGs. 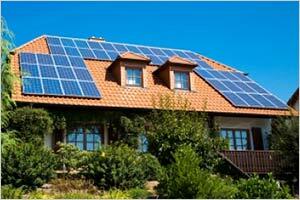 Green technologies will be used to build the green homes and energy-efficient solar rooftops. The practice of work will include local equipment, skills and expertise.